The leaders of Scotland, Northern Ireland and Wales met with Theresa May at Downing Street. During the meeting (the first one for last 2 years) The Prime Minister proposed to discuss the possibility of Brexit. However, the leaders remained dissatisfied with the position of Theresa May. Moreover, Nicola Sturgeon, the Scottish First Minister declared: «We discussed the UK's negotiating position in general, but it is safe to say we got no more information or detail on that than we had before we went into the meeting, and I got the strong sense the UK government itself doesn't know what it is trying to achieve». The representatives of regional governments complain that London does not accept their point of view, only pretending their interest and involvement. 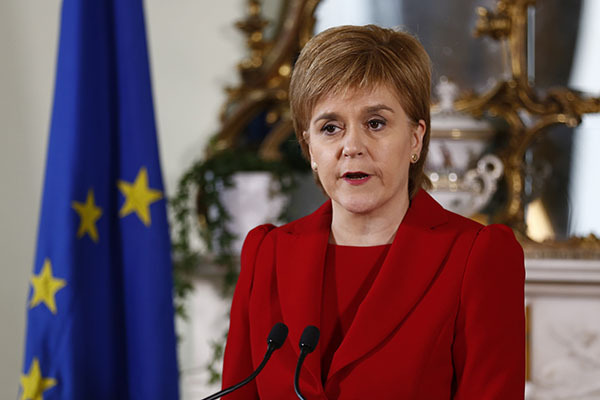 However, Nicola Sturgeon confirmed, that the interests of Scotland would be taken into consideration. If the UK decides again not to reckon with Edinburgh, it will seek after a second independence referendum.